Early formula, Alchemist Amber Varnish! Just one bottle. 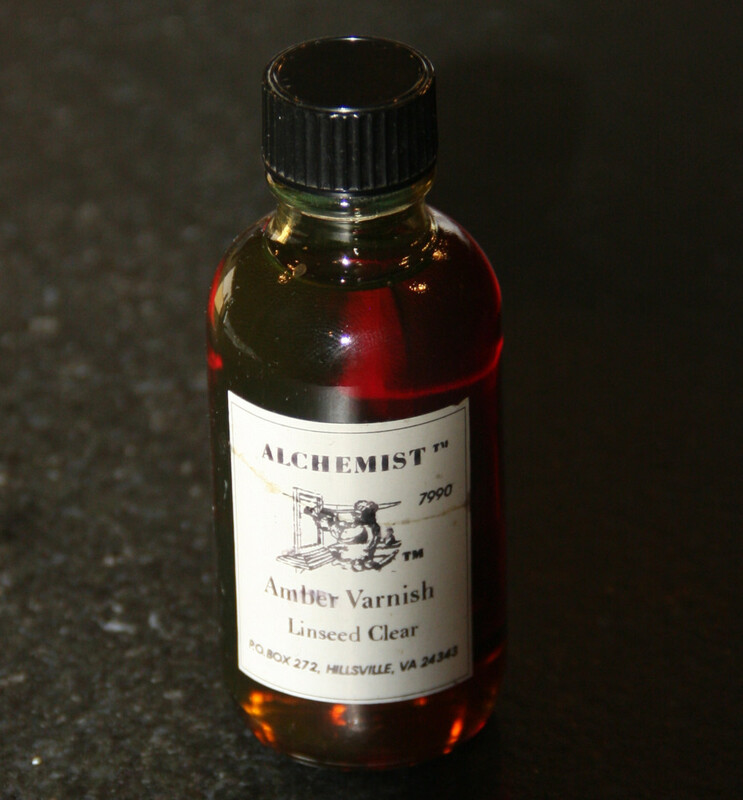 This is a large bottle (approximately 60ml) of classic Alchemist Amber Varnish (Linseed Clear) which was made when Donald Fels was still operating out of Virginia. He’s in Europe now. This jar has been in the shop for ages, but the stuff doesn’t go bad because it contains no cobalt driers. NOS. Don’t buy this unless you’re willing to put in the effort to finish with the equivalent of angels’ tears. This link will give you some insight: Transparent & Translucent Ramble. From Donald’s site, “A specially formulated, high concentration of dissolved amber resin in linseed oil for use as a general painting medium. Especially designed for mixing with light colored pigments or tube paints. Get this bottle from our collection for quite a bit less than retail. Use it sparingly. This must ship by UPS GROUND; Continental United States Only.